Freshly harvested soybeans are transferred from a grain cart to a semi on a farm near Randall, Iowa in October 2018. That’s caused prices to drop, leaving U.S. farmers and grain elevators struggling to store soybeans until prices or demand improves. 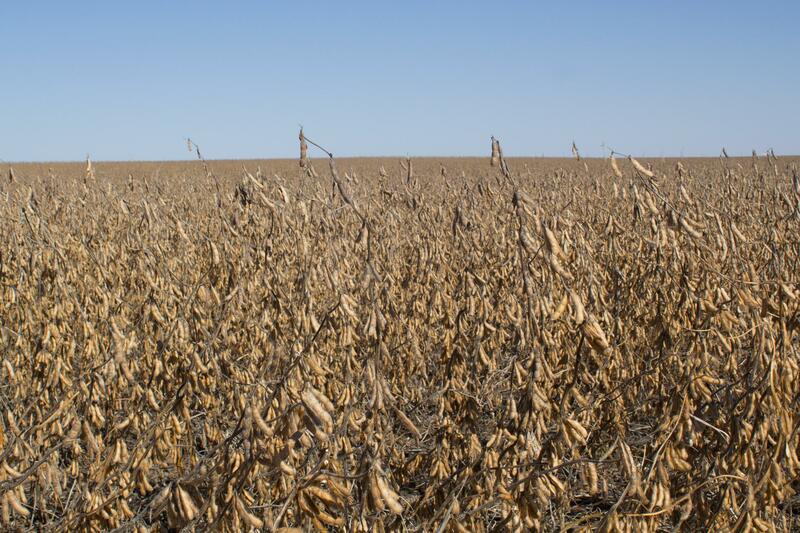 Those factors threaten to undermine the soybean futures contract, and federal regulators have until Dec. 10 to review a proposed solution to the problem. Harvest Public Media's Amy Mayer explains the soybean futures market. While this might seem like an arcane aspect of farm finances, consumers benefit from the futures market. Many of the processed foods we eat contain soy, but your grocery bill isn’t changing much during this trade war. That’s thanks, in part, to the futures market. A futures contract is an agreement made in advance to either provide a product or pay off the contract on a certain date. 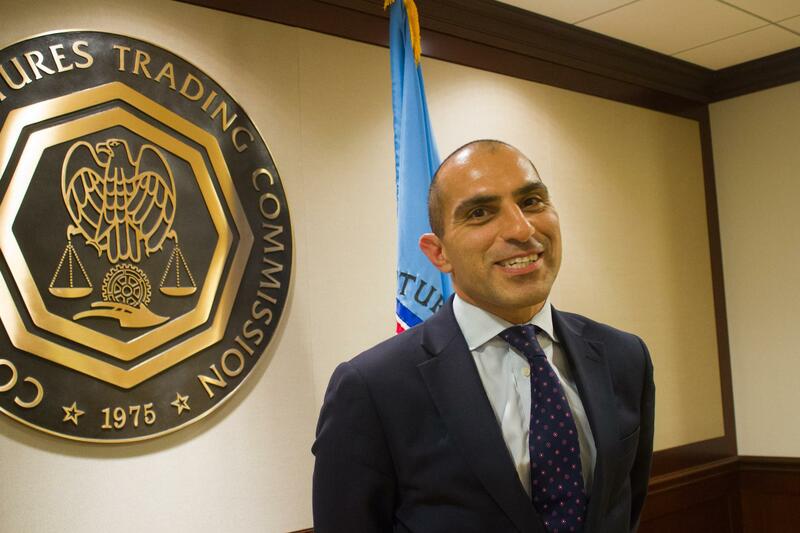 CFTC Commissioner Russ Behnam says the futures markets are complicated, but they provide an important tool for farmers to manage some of the the inherent risks of growing crops. Individual farmers aren’t likely to deal with it beyond monitoring prices, but grain elevators do. They’ll use futures contracts to manage sales and get good deals throughout the year, allowing them to pay farmers a more consistent price and protect them from big drops. Large market players can use the futures market to participate as both grain buyers and sellers. Their actions in the futures market are the opposite of what they do in the cash, or physical, market. Harvest Public Media produced this explainer video that details how it works. One key thing is that it brings some stability to the market, which elevators pass onto the farmers who supply the crop. 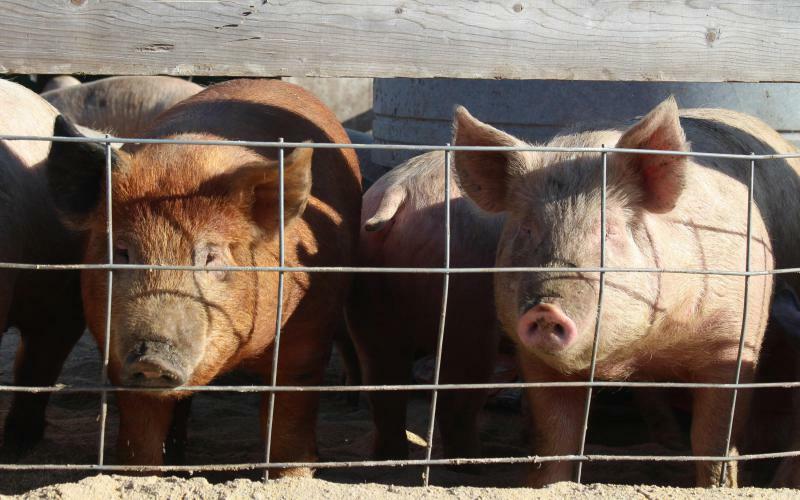 Benham said the system protects farmers if the price for their crop changes significantly during the growing season. “The futures contract will act as a sort of counterpoint to the actual physical planting,” he said. If the cash price — which farmers are paid on the day they deliver grain — drops, those losses will be offset by gains on the futures side. That’s a big simplification, but it speaks to the fundamentals. And this system works as long as the cash price gets pretty close to the price in the futures contract as the expiration date approaches. The Commodity Futures Trading Commission is reviewing a proposed change to the soybean futures contract. The review period ends Dec. 10. Without convergence, the futures contract fails and farmers’ risk is no longer managed. They could lose a lot of money. The futures contract isn’t exclusively about the price per bushel. It costs money to store a crop, which a futures contract must account for because it needs to offer a realistic representation of what’s happening in the physical market. A year ago, before the trade war, the CME Group, which manages the soybean futures contract, was considering changing the storage rate for soybeans because it didn’t reflect the actual cost. Parts of the Midwest are now practically out of storage space, increasing the cost even more. Although this problem was anticipated, fixing it isn’t simple or quick, because the futures market is closely regulated. The CME Group has proposed an increase in the storage rate and is waiting for a green light from the Commodity Futures Trading Commission. “I’m very confident that they’ll approve our proposal,” Seamon said. 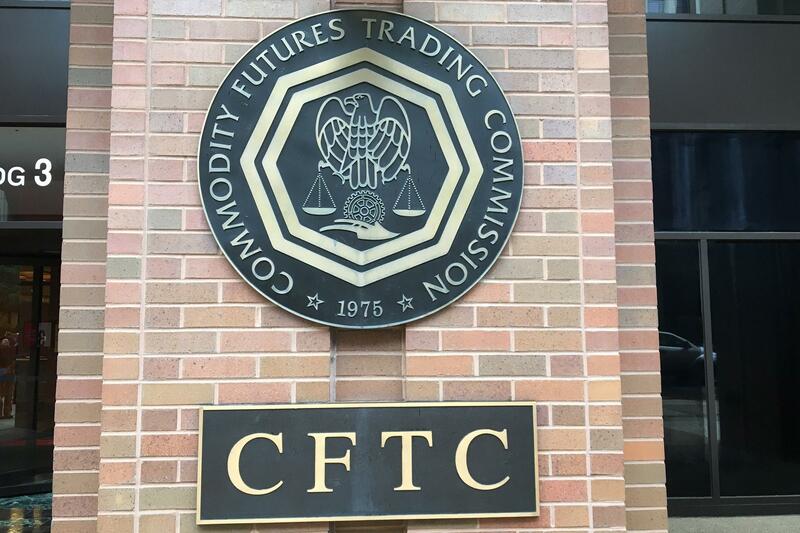 The CFTC will issue its decision by Dec, 10, but even if approved, the change won’t go into effect for more than a year. By then, the trade war could be over. Or maybe U.S. farmers will grow fewer soybeans, or other countries will commit to buying more. Some observers say market-based responses like that will resolve the problem, not changes to the soybean futures contract. But Seamon says the proposed changes are not meant as a quick fix. “We’re changing to a rate that represents the true cost and that will be a relevant new rate whether we have a trade war or not,” he said. Despite many rainy days this fall in much of the Midwest, farmers harvested a near record amount of soybeans. Farmers at Betty’s Truck Stop near Sweet Springs, Missouri, took their coffee with a side of bad news early Wednesday morning. In response to the Trump administration's threats to place tariffs on $50 billion in Chinese goods — including farm implements — China threatened to sanction $50 billion in U.S. exports, this time targeting airplanes, cars, chemicals and soybeans. “Beans are down 50 cents overnight, and corn’s down 14 because of this trade thing with China,” Jim Bridges said as he took a seat at a large table in the center of the restaurant. Bridges, who grows corn and soybeans, made a few calculations and reckoned his potential losses at about $50,000.